Sugar Free Cauliflower Mash Recipe! There are certain things about the low-carb, sugar-free lifestyle that I miss more than others and mashed potatoes are certainly near the top of that list. We used to make them about 4 times a week with butter, sour cream, cheese and sometimes bacon and we never had any leftovers to put away. Of course that didn’t help our runaway weight problems! When we went sugar free, we just assumed that mashed potatoes, like candy bars and regular Coke, were forever off our list of foods we could have so I was pleasantly surprised when I was skimming through my Instagram feed one day and saw someone eating what looked mashed potatoes but she said it was actually mashed cauliflower. I was ready to figure out how to do that! So I went that day and grabbed a head of cauliflower, steamed it up, through it in a food processor and served it up to the family and we all loved it! My recipe has evolved since that day, I used to put milk in to make it a bit smoother but now I just stick with butter. I still will sometimes go with a few pieces of bacon crumbled up or just stick with the cheese and garlic. The point is, you can do whatever you want including just eat it plain. It’s actually pretty good with just a little bit of salt. If you decide to make the recipe for your family, please send me a photo and tell me how they liked it, I always like to hear from my readers. Also, don’t forget to subscribe to the YouTube channel or our daily email to never miss a video. Enjoy! 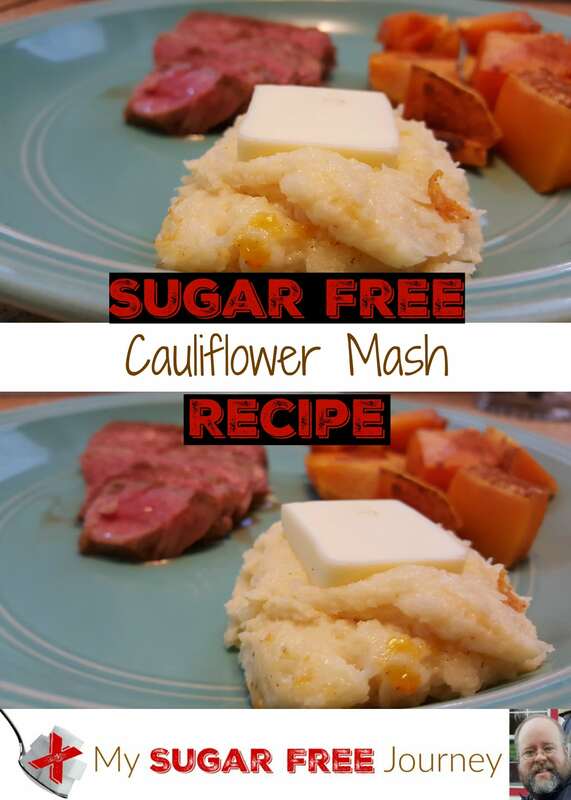 A low carb, sugar free mashed potatoes substitute! PREVIOUS POST Previous post: Cracked Candy Review! NEXT POST Next post: What’s Sugar Free and Keto Friendly at Applebee’s? Awesome. I sometimes add sour cream or cream cheese 🙂 love your videos. Thank you .